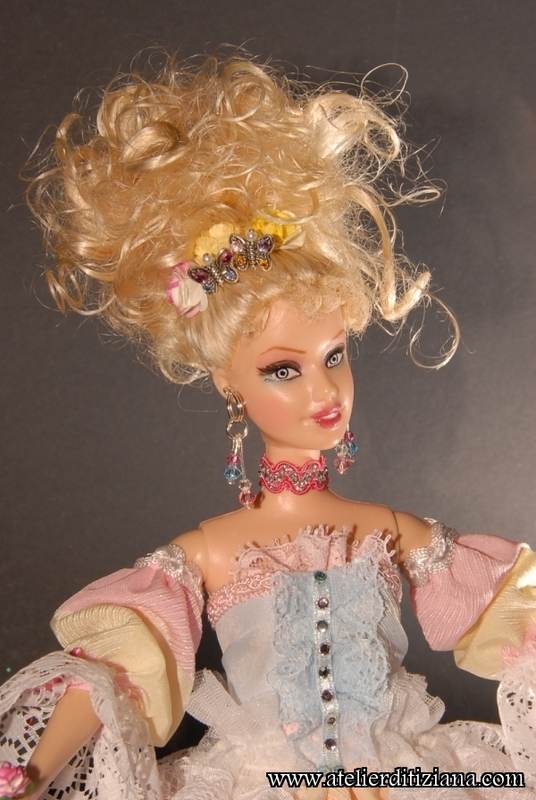 Easter Holidays OOAK Barbie re-coiffed and with face completely repainted with acrylic colors and pure professional pigments. 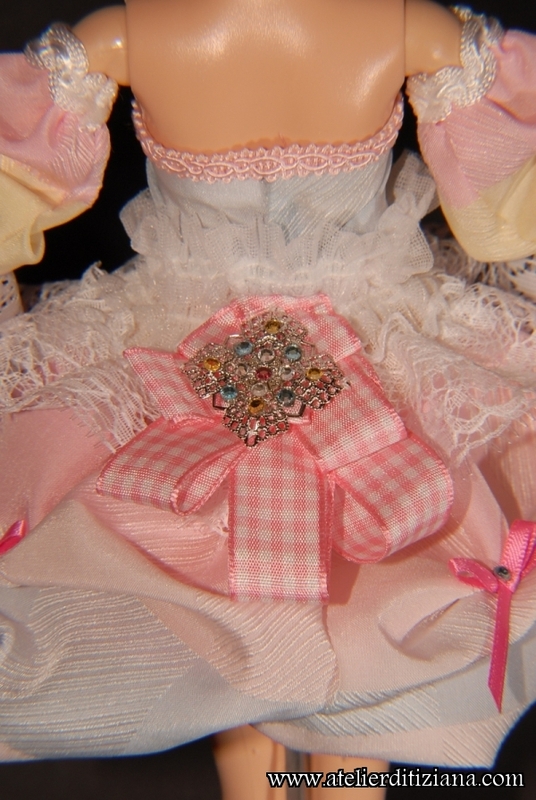 The dress, entirely hand-made, is in pastel-colored silk satin and is adorned with lace, satin bows and rhinestones. 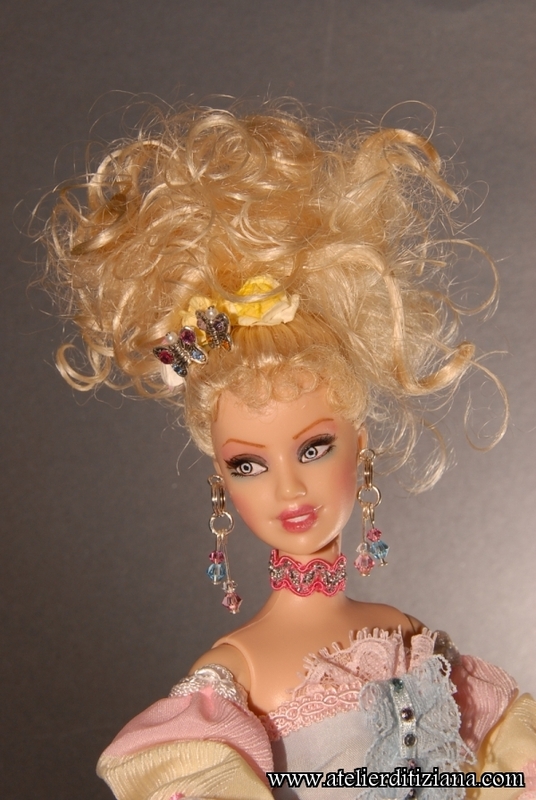 The hairstyle has roses and butterflies enriched with rhinestones of the same colors of the dress. 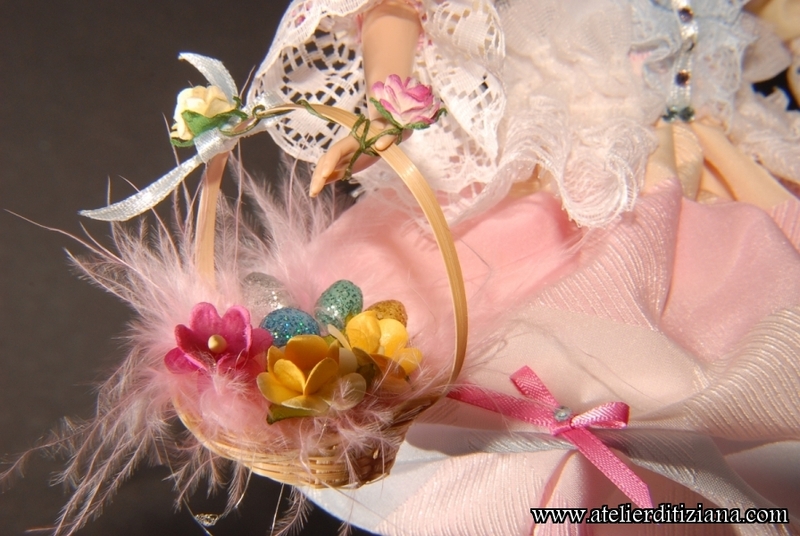 The wicker basket contains flowers and colored eggs. 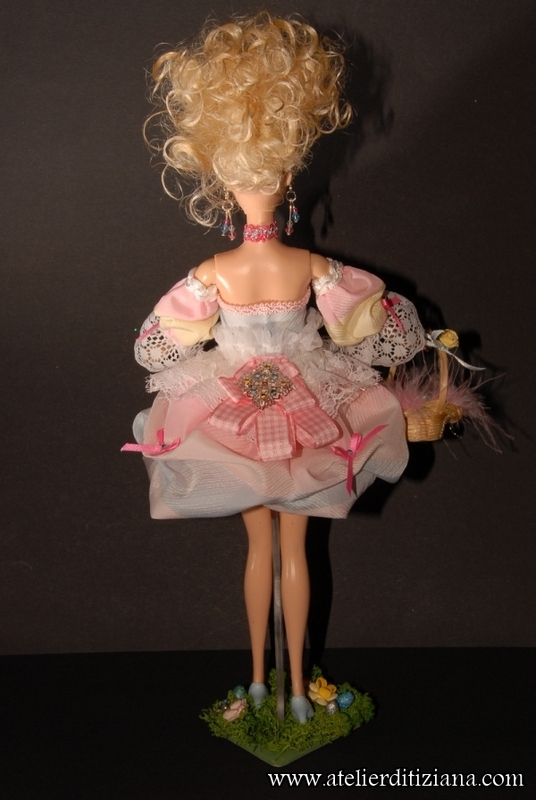 To create the earrings Swarovski crystals were used. 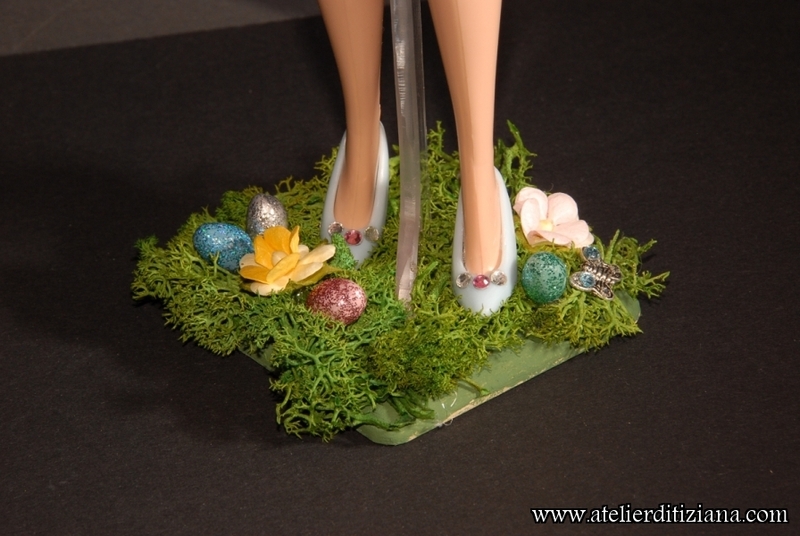 The base of the stand was decorated with artificial moss, flowers and colored eggs.